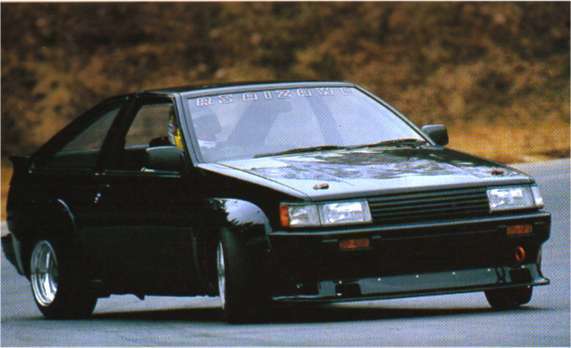 For those of us who speed our AE86's through twisting roads, it's always been nice to be able to shift rhythmically and steer fast and fluidly. These are some modifications that may be of interest to you if you are willing to spend a few hours on the weekend just so you can have this advantage in your cars. There are popular kits called "short-shifter" or "short stroke shift lever" on the market for many cars today and this is what you will need to achieve that race-car-like feel on your shift lever mechanism. The kit usually supplies modified shift lever to be replaced with the OEM lever in your AE86. Usually available for racing purpose, these shift kits are mainly designed to reduce the travel of the shift lever to accommodate a tightly strapped driver. 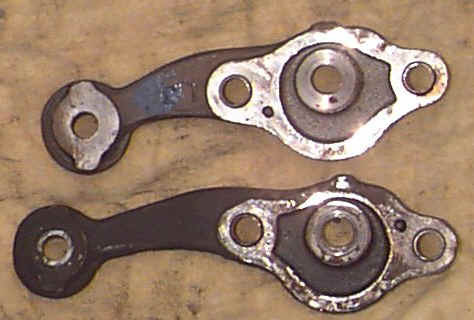 In the case of AE86's however, old transmissions usually exhibit a notchy, gated feel and may cause some miss-shifts. But, usually once a driver gets acclimatized to this setup similar to race cars, the shifts tend to become more accurate and quick. In any case the installation is straightforward. One other factor with quick shift levers are that most are equipped with a metal collar peg and sometimes it will make lots of noise in high rpm or stiffer chassis setup. The metal collar is for withstanding high forces of the driver's shifting cycles and speed. For street applications, it can be modified to standard collar at a machine shop to provide less rattling effect. For drag races, this is not recommended as driving position is different and oriented more for shift lever and less for steering, and banging into gears usually is more reliable with a standard shifter. Here's an answer which won't quite get you that 1 turn lock but here's a way to speed up some of our steering boxes up to speed by 8%. This modification applies to all power steering models of AE86's. The steering knuckle of the power steering cars were actually shorter than those of the non power steering rack cars. What this means is that when non-power steering knuckle is used on a power steering rack, the steering ratio will decrease by that much. This means the reverse is true, where if you use a manual steering rack on the power steering knuckle, the steering ratio as well as your steering angle will increase. It's a method that was used since long ago by junk-yard hunters and canyon racers. Does it work? Well, yes... with 8% increase in steering speed, those who drift especially benefit from rapid counter-steers, and wider steering range. In both of these cases, you will be modifying a control-related part. Please do take serious care in working on such parts and always refer to manuals for proper assembly. If you neglect this fact, well you might lose your steering in your next track outing or shift lever. Be careful.